At what Temperature is Chicken Cooked? What temperature should chicken be cooked to, and is it the same for light meat and dark meat? When is it safe to eat? Chicken, especially whole or bone-in chicken, can be tricky to cook since it’s oddly-shaped. And unlike beef or lamb which is okay to eat rare or medium rare, you want your chicken cooked through to avoid getting anyone sick. 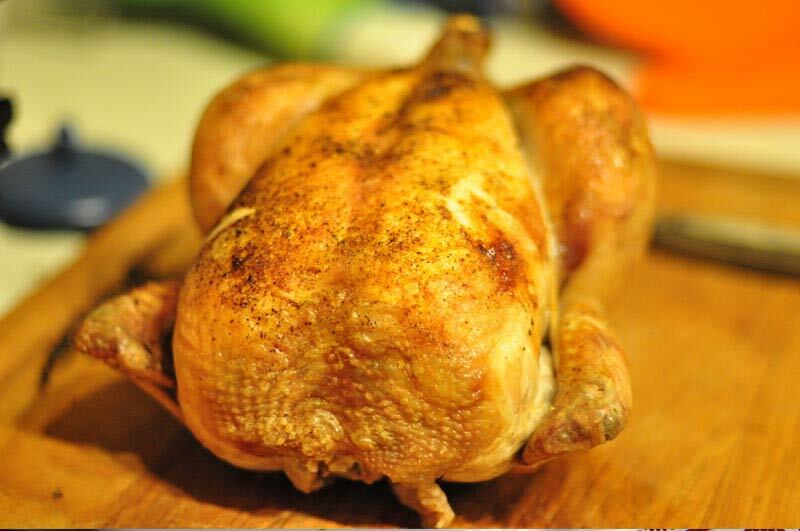 Fact: The safe internal temperature for cooked chicken is 165° Fahrenheit (75° Celsius). Hint: If you don’t have a thermometer, an easy visual clue is that all the juices that come from the chicken should run clear and not be pink. Food Wiki : What is Black Rice / Forbidden Rice ?